It’s likely most PC gamers have heard of Star Citizen by now. This is a crowdfunded game being developed by Cloud Imperium Games, with legendary video game designer Chris Roberts at the helm (you know, the guy behind the classic Wing Commander games of the 90’s). Star Citizen has featured increasingly in the media due to the fact that the game has raised more than any other crowdfunded project in history. Star Citizen recently surpassed the $200 million US dollars mark in funding, an incredible sum for a game not backed up by a major publisher. 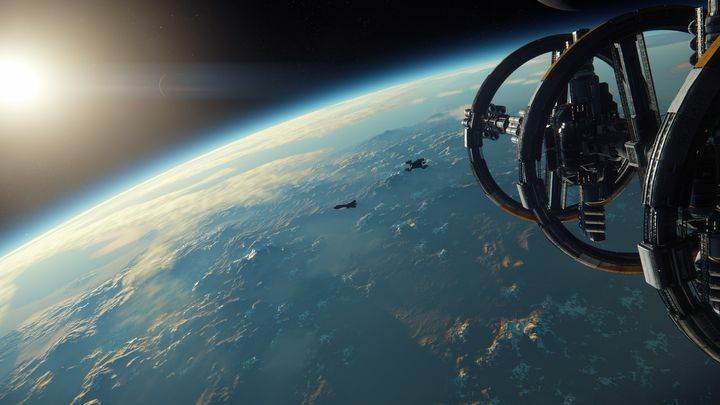 Nonetheless, it’s likely most haven’t had a chance yet to dive into Chris Roberts’ game and get a taste of its gameplay as Star Citizen is currently in an alpha stage, and no word has been said yet about the game getting an open beta in the near future either. This is why the game’s currently running free week might be a great chance for those itching to give the game a go to finally do so. The free period lasts until November 30, and in order to get a taste to Star Citizen’s online multiplayer gameplay, you first have to download the game client by heading to CIG’s website here (before this, you’ll need to create an account to do so). After a download and installation, you’ll be able to get playing, but since this is a tad more complicated than the average game, you may want to take a look at one of the gameplay guides available here. Also bear in mind the slightly above average requirements too, it’s recommended your PC is equipped with at least 16 GB of memory in order to play the game. As for what you’re getting when you download and play this free trial of Star Citizen, it’s the following. You’ll be able to explore one of the game’s planets (Hurston) and its city of Lorville. There are also 80 different spaceships with which you’ll be able to traverse the galaxy, engaging in trade or dogfights with other players. If you enjoy the free trial (which as stated earlier lasts until November 30), the game is available for purchase here, but as development in Star Citizen is ongoing, this is yet an unfinished, pre-beta version of the game. Think of it as an early access version of the game, which likely still has a while to go before anything resembling a finished version is available. Also, there’s no release date yet for Squadron 42, Star Citizen’s single player, star-studded campaign for which we saw another trailer last month. For the time being though, you can sample Star Citizen and get an idea of whether Chris Roberts’ upcoming space epic is your cup of tea until this free week expires on November 30.